Easy weeknight dinners are a must around my house. 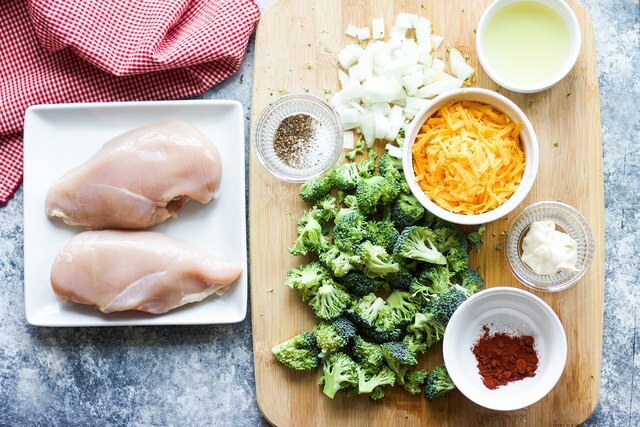 We eat chicken at least a couple times a week for dinner and I am always looking for new ways to prepare it that will keep it interesting. I regularly roast it, grill it, and now my new favorite way to prepare it is to stuff it! 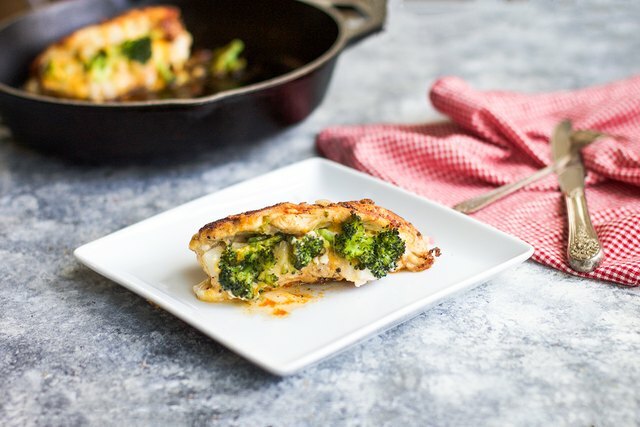 Because broccoli and cheese are a match made in heaven, they make for one tasty stuffed chicken breast. 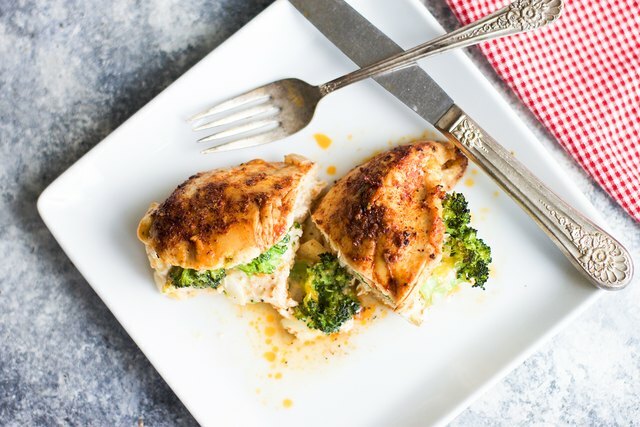 My recipe for broccolli and cheese stuffed chicken is one that you are going to keep in your weeknight dinner rotation. 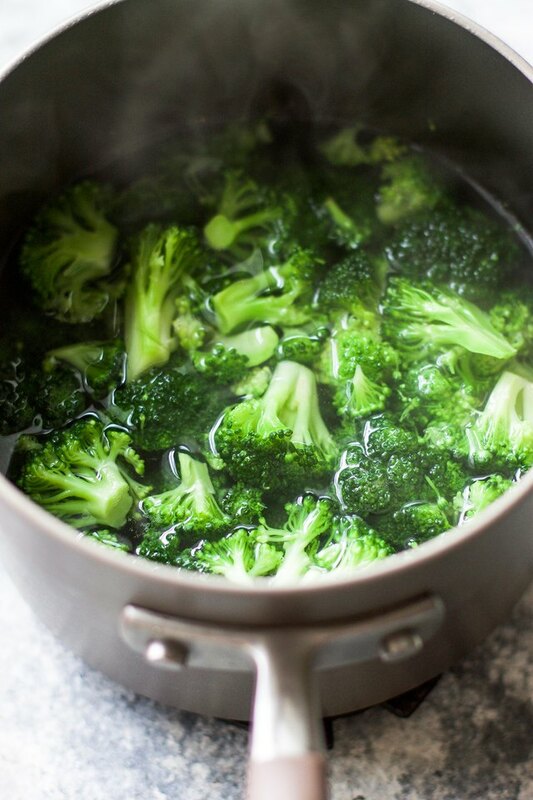 Bring a pot of water to a boil and drop broccoli in for two minutes. Strain and rinse with cold water to keep it from cooking any further. 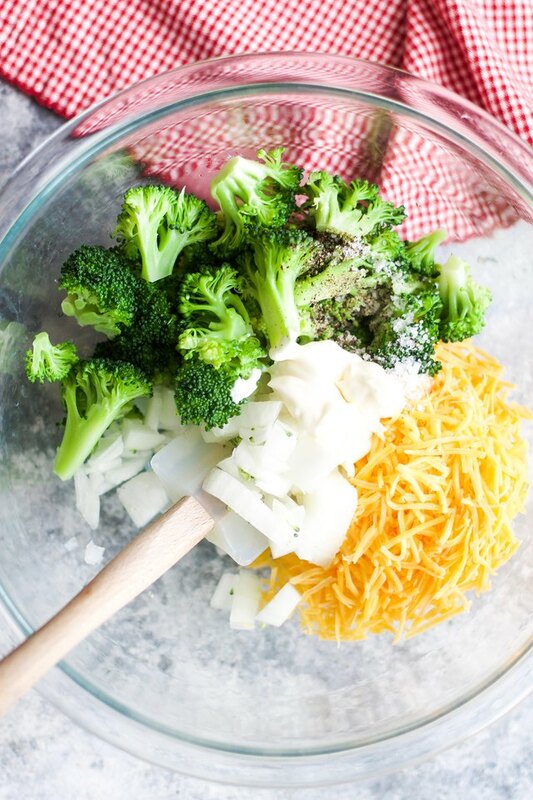 Combine blanched broccoli, onion, 1/2 of the salt and pepper, mayo, and cheese to a bowl and stir until well combined to create the filling. 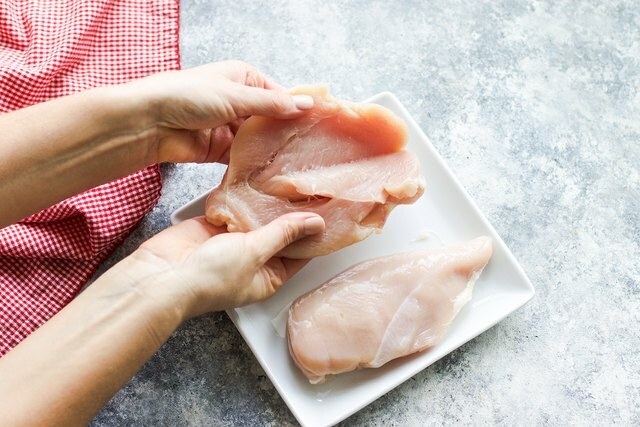 Take a sharp knife and carefully cut the chicken breast in the middle, but not all the way through, to create a nice pocket for the filling. Stuff the chicken with the filling, careful not to overstuff, and then season the outside of the chicken with the rest of the salt, pepper and paprika. Secure the stuffing with a toothpick if needed. You can also season one side of the chicken and then season the other side once in the pan to help prevent filling falling out. 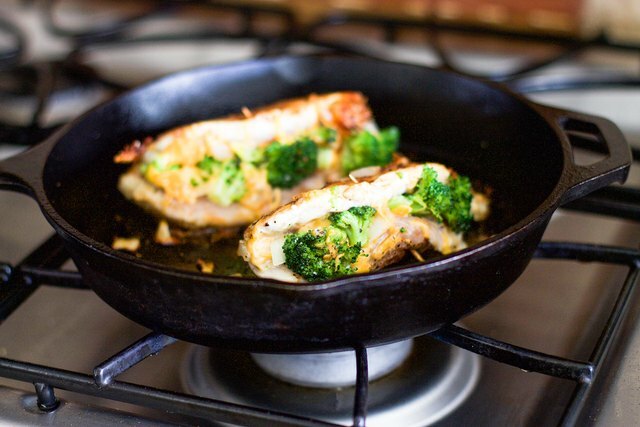 Add oil to a cast iron skillet or oven safe skillet and heat to medium high heat. Add chicken breasts and sear on both sides for about 3 minutes until golden brown. Transfer the skillet to the oven and continue to cook for 15-20 minutes until chicken is cooked through. If you don't have an oven safe skillet, simply sear in a skillet and then transfer to a baking sheet to continue cooking in the oven. This chicken is so delicious and I can't wait for you to give it a try!